Two explorers embark on research journeys to remote corners of the world: the Himalayan mountains, the Central American rainforest, the Egyptian desert, a mysterious volcano, and the bottom of the sea. As the cards are played, the expedition routes take shape and the explorers earn points. The most daring adventurers make bets on the success of their expeditions. The explorer with the highest score after three rounds of expeditions wins. 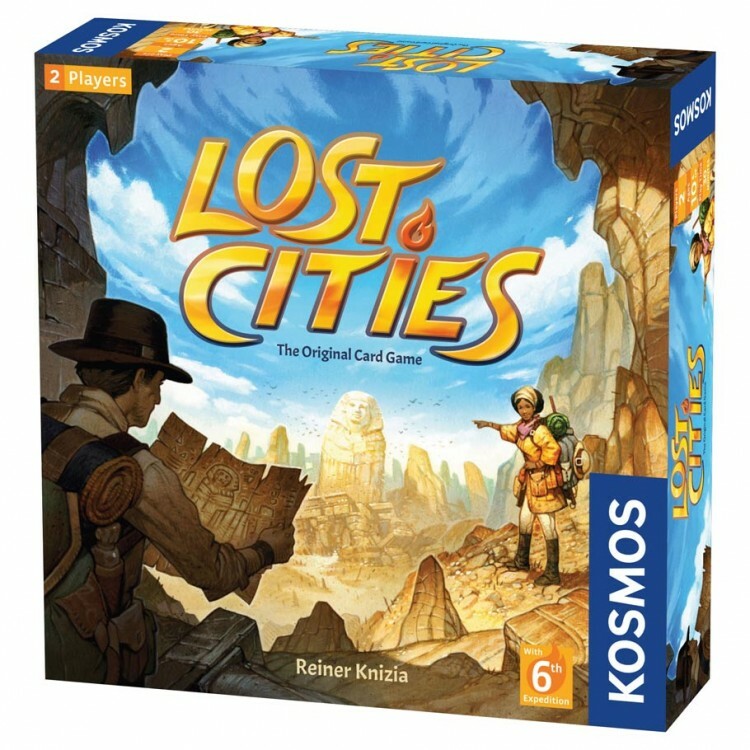 The rules of the game are simple, but beware: The lost cities hold many unseen mysteries! 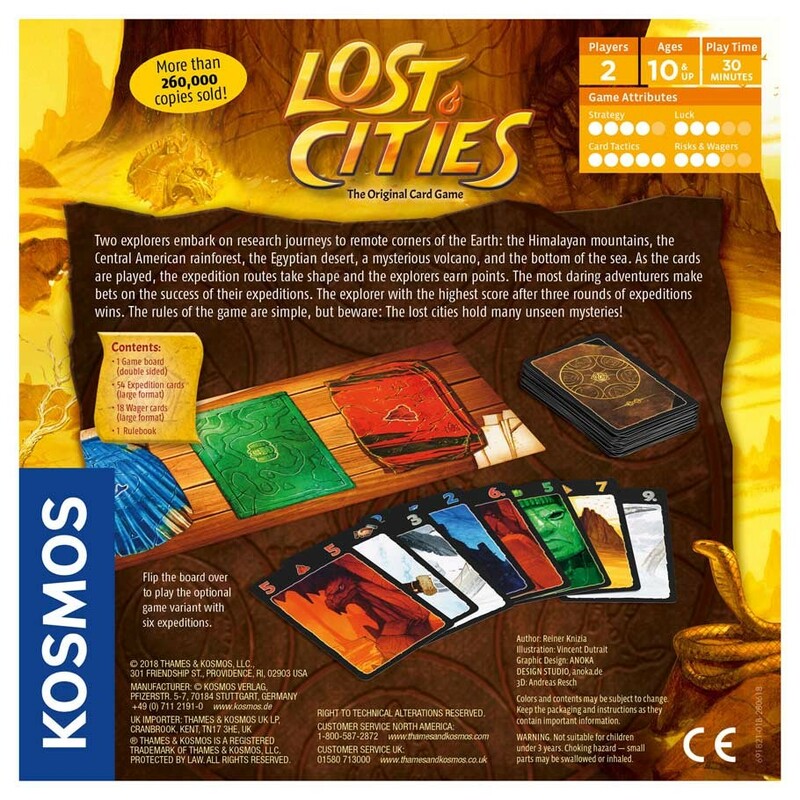 This new edition features a sixth set of expedition cards and a two-sided game board: On one side is the classic five-expedition game. On the other side, a new variant with six expeditions is offered.